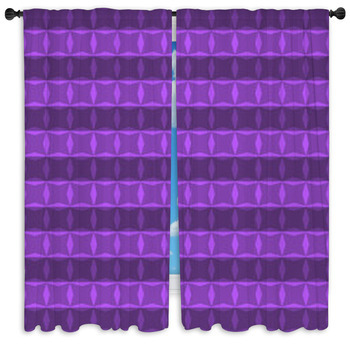 Bring back the cool vibes of the 70s and the luxury of the 19th century by decorating with our purple window curtains. 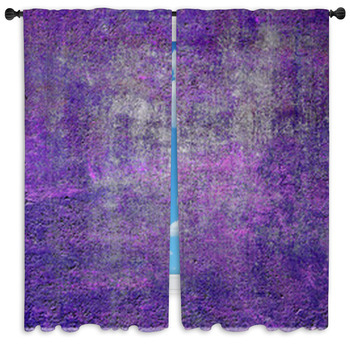 Verge into dark purple and violet for drapes that provide a relaxing feel in your living room. 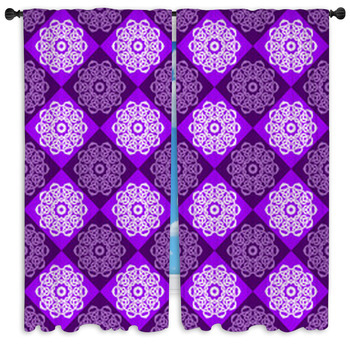 Then liven up your family room with custom size curtains patterned with bright floral arrangements of purple. 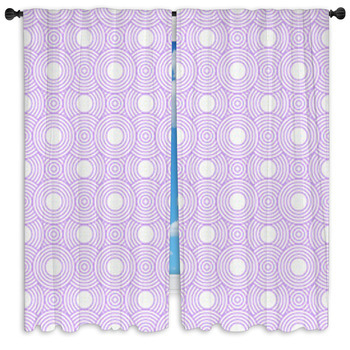 Give your daughter a set of purple window curtains that invoke the mod days of the early 60s. 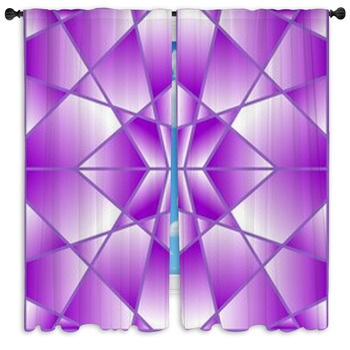 These curtains are styled with a retro design of loopy purple, violet, pinkish purple, pink and white squares overlapping across a salmon background. 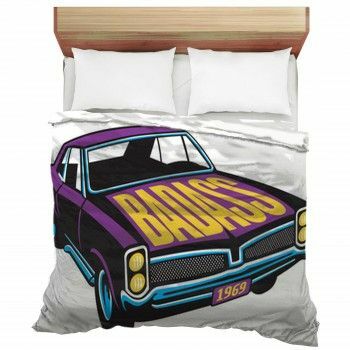 Pair that with a window valence that creates a more modern feel. These include a black and white keyboard and guitar illustrated amid a chaotic blend of purple feathered wings, pink, blue and purple circles, and diagonal pinstripes of blue and white. 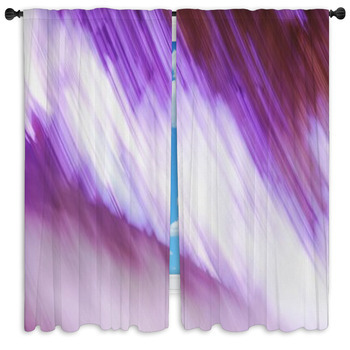 Make your living room into the trendiest one in the neighborhood with custom size curtains that display swaths of glossy deep purple matched with other rich colors around a white center. 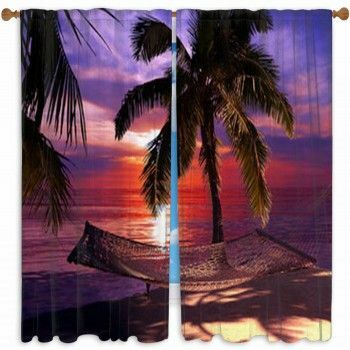 The right side of these window curtains contains a blend of vibrant orange and crimson ribbons of color. 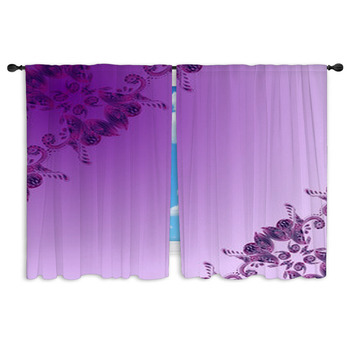 Then add drapes that reveal a complex floral pattern made of layers of dark reddish purple and pale lavender stems, leaves and tiny flowers. There are also two purple butterflies fluttering in the white sky above this spiral of life. 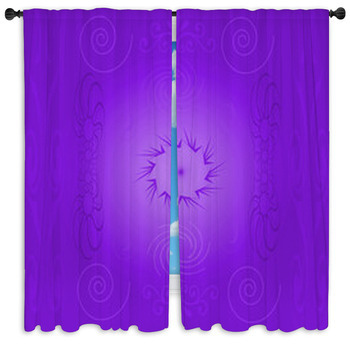 For the music room, we have purple window curtains that depict a single purple musical note illustrated with bubbly style on a white background. 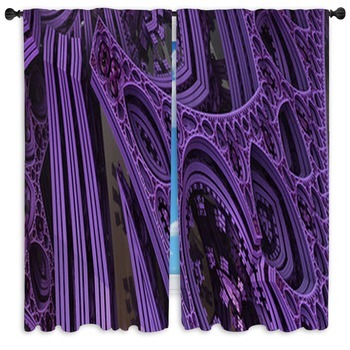 Other drapes make a statement of pure opulence with an antique pattern of finely wrought abstract flowers and vines glowing a luxurious shade of purple on a solid black background. 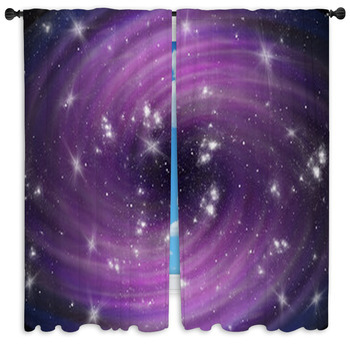 We also have a lot of purple unicorn curtains perfect for your little girl's bedroom. 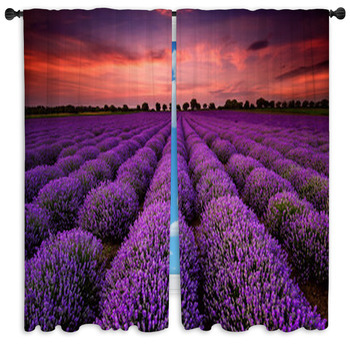 Splash your favorite color across your home by also selecting our purple themed wall murals and working with our purple fabric.